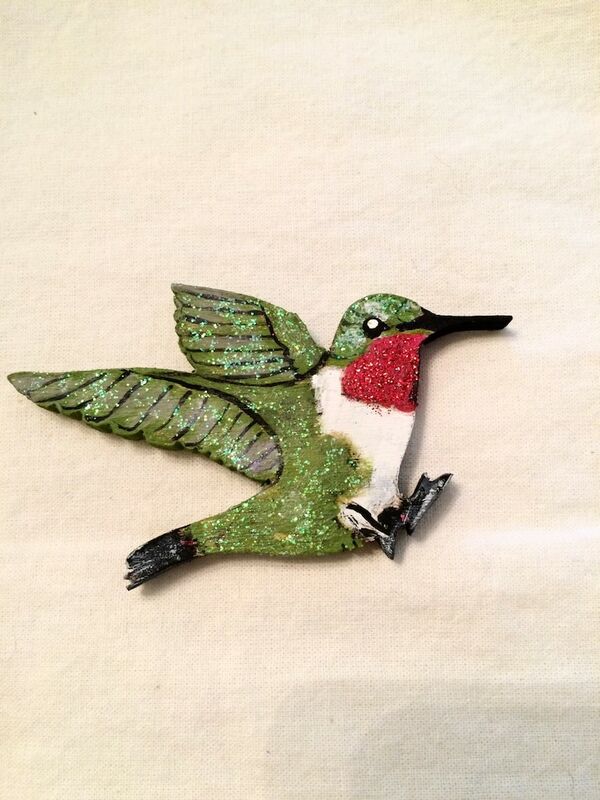 This beautiful glittery wooden hummingbird ornament will add beautiful sparkle to your Christmas Tree! This handmade, hand painted Christmas tree ornament was inspired by Dennis' mom, whose favorite bird is the hummingbird. This beautiful ornament will brighten up your tree! If you're a bird lover then this ornament will look great on your tree! It is handmade by Dennis, he draws out the ornament, cuts it by hand, and paints it freehand so that every ornament you receive from us has received special care and attention. He even takes the extra time to paint the bird the same on both sides so that no matter how it’s hung you can see the beautiful design! If you have any questions regarding this item or if you'd like a similar ornament but with a different bird feel free to message us your request and we'll be sure to get back to you ASAP, there will be no extra charge if you would like something special. This attractive ornament arrived in a timely manner, well-packaged, attractively wrapped, and in perfect condition. It will look great on my Christmas tree next season, but for now, I am displaying it in my woodsy apartment as a winter ornament. 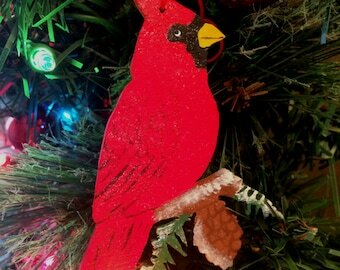 I love these bird ornaments--this is my fourth--and I highly recommend this seller.